The Meat from the Queen Conch (a giant sea-snail). 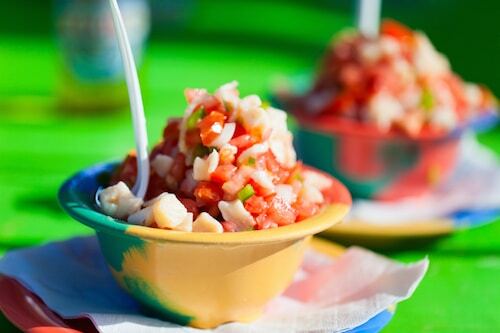 Conch meat is enjoyed raw (salads, ceviche) or cooked (fritters, chowders). 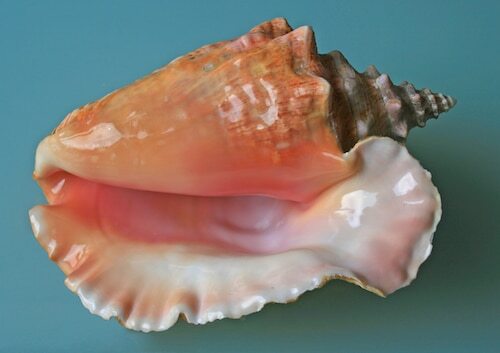 Conch has a sweet flavor, like abalone or clam, and a firm, crunchy texture. Conch is considered to be the main dish of the Bahamas – why not honor that legacy on your menu with a Bahamanian version? It’s delicious in a ceviche! If you can get your hands on a beautiful conch shell, it adds a nice touch to your display!